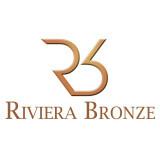 Riviera Bronze is the word’s premiere steel window and steel door designer and manufacturer. We utilize old-world techniques combined with modern technology and the highest quality standards to create precision crafted steel doors and steel windows for your residential or commercial remodel or new construction. Custom metal doors and windows in steel, stainless steel, and solid bronze. We provide a full turn-key service from CAD through installation. Our products are factory glazed and installed by our expert Riviera Bronze factory team. Our steel windows and steel doors are created with exact specifications in concert with Architects, Builders and Designers. Come visit our showroom! The Bildau & Bussmann Group manufactures and sells superior quality wood windows and doors in Europe, East Asia, and North America. We distribute our products through a network of high quality window dealers on a business to business basis and to end-users. In addition to producing mass-market competitively priced windows and doors, our focus has always been on providing custom “state of the art” products to discriminating architects and clients. Also, we are very proud of our commitment to producing exact reproduction windows and doors based on historical designs. *Authorized Dealer of Andersen Windows & Doors* We have been in the door and window business in Ojai Valley for over 30 years. The majority of them, in Meiners Oaks doing business as Meiners Oaks Sash & Door. We recently relocated to downtown Ojai, which necessitated the name change to Ojai Door and Window. We are very happy about our new location and beautiful new building. We may have upgraded our offices and building, but we still offer our clients low prices, great customer service and quality products. Our mission is to help our community with all their door, window, and hardware needs while providing years of experience and competitive prices. We enjoy being part of the experience of upgrading and building the beautiful homes in the Ojai Valley. We have done projects as small as custom tree play houses, as large as commercial vineyard production facilities, and everything in-between. Terry and his family has been in the Ojai Valley for over 60 years. During those years, a lot has changed. We are excited to help it along and see it move forward, but we also love to preserve its small town charm and feel. We are a local family owned and run business and take great pride in our craftmanship and customer service. Bill is a licensed general contractor, and Certified Master Installer with The American Architectural Manufacturers Association (AAMA). He has over 25 years of experience in the construction field, with his specialty being in doors and windows. My Window Solutions is primarily a replacement specialist company. We offer many of the top manufactures, to give our customers a broad variety of windows to choose from. We do retrofit and new construction type installations with the highest quality workmanship possible. We only use our highly trained staff to complete our projects including all stucco and drywall repair. We are general contractors as well as glazing contractors so we are trained and able to add windows, and turn windows into doors. We are clean and polite. A & B Glass in Santa Barbara, California, is your residential, commercial, auto, and boat glass authority. Our team of professionals can install, repair, or replace any type of glass, anywhere. 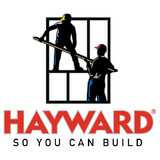 We also specialize in expert installation of framed and frameless shower glass doors. We are recommended by automotive facilities, major insurance companies, and auto body specialists. 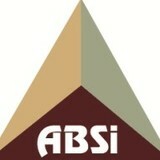 Business is centered on installation and design consulting. We provide site or classroom based training based upon ASTM standards and AAMA specifications. Other services include leak investigations and quality assurance testing. Written reports are provided that detail results. We provide an easy, full service experience from the start to the completion of any project we are involved in. We deliver competitive prices and have a vast product offering to fill almost any request. We are proud to do business in Santa Barbara and we love our customers. Essential to your Mission Canyon, CA home’s beauty, function and feel, windows are one component that should never be overlooked. When they aren’t doing their job, you’ll know it, and the resulting leaks, drafts or other problems can be costly to rectify. Hire a trusted Mission Canyon, CA window dealer to help you select and install your windows, and you’ll enjoy the rewards of your smart investment for years to come. Whether you’re building a new Mission Canyon home, remodeling an old one or just replacing a few windows that are past their prime, your window dealer in Mission Canyon, CA will help you pick the right windows for your needs, home style and budget. Windows come in so many sizes and types that expert advice and direction is invaluable in helping you make the best decision. These pros can also help you with custom window designs that complement your space better than something ready-made. Lastly, if you are interested in doors with windows, these experts are also knowledgeable about sliding doors, French doors and other paned portals. Find a window dealer on Houzz. 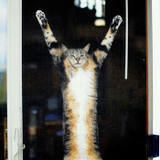 Narrow your search in the Professionals section of the website to Mission Canyon, CA window dealers. You can also look through Mission Canyon, CA photos to find examples of windows that you like, then contact the window professional who worked on them.